I initially chose to go to South East Asia because I wanted to travel to a tropical location for my winter holiday. Other then wanting to catch some rays, I had no other aspirations. But I now have a new love and appreciation for asian culture and solo travel. This trip introduced me to a completely foreign culture, new (amazing) foods, friendly people, peaceful cultures, exotic adventures and stunning landscapes. This trip put me out of my comfort zone and completely emerged me in different ways of life. I can honestly say I have returned as a stronger, braver and more confident person. I recommend going on this adventure alone. You will meet many like-minded travelers and you will discover so much about yourself. When I booked this trip I expected to stay in mostly hostels and cheap hotels…expectations were blown out the water. We stayed in mostly 4 and 5 star hotels. Every place was nicer then the last. But my favorite places we stayed we not the 5 star hotels. We stayed at two charming guest houses and on a beautiful junk boat in Ha Long Bay. Every place we stayed had free wifi, water bottles, safes and hot water! I couldn’t have asked for a better group of fellow travelers. I will forever be friends with many of the people I met. Especially my tour manger Lee (Hailey). I can safely say she made my trip. Lee is super cool, chill and fun. She showed us the best bars, hangouts and foodies in town. 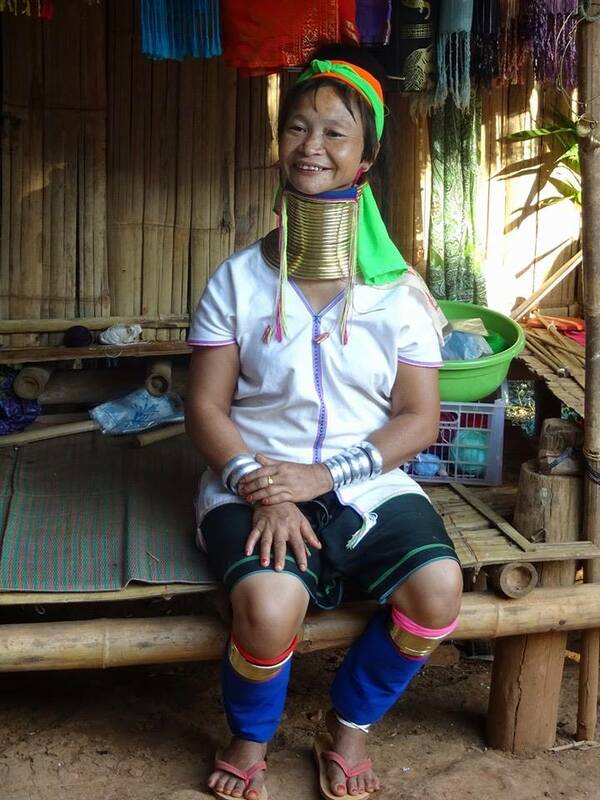 She was familiar with the locals and even spoke most of languages. I told her initially I planned on turning my brain off for most of my trip. So it was awesome having her plan most excursions and helping me have the time of my life. 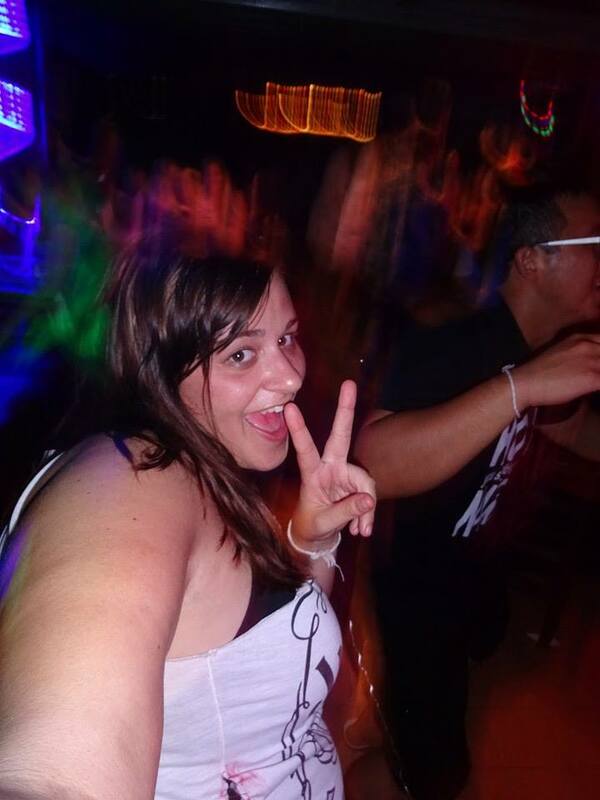 The coolest thing about this trip is you’re not stuck on a bus all day long like many other contiki trips. Don’t get me wrong there are bus trips. The longest was 6 hours. To get through the different countries you will take an overnight train, boats, tuk tuks, buses, vans and jets. I loved our overnight train ride. It really gave everyone a chance to bond. My favorite things I did on the trip were the Wat Phrathat in Chiang Mai, Thai cooking class in Chiang Rai, Elephant riding, “Kangaroo Sunset” bar and kayaking in Luang Prabang, causing a street dance party in Siem Reap, jumping off our boat in Nha Trang and sailing in Ha Long Bay. I would recommend this trip to everyone. I always felt safe, culturally submerged and had a blast. -Pack your bag and then take out half. It’s super easy to do laundry. -Bring only one swim suit. There are water activities, but not consecutive ones. You only need one suit. – You should not need more then $25 a day if you don’t plan on doing much shopping. – Invest good pair of flip flops. You have to remove your shoes a lot and they’re easier to get on and off then sandals. -Don’t bring a huge suitcase. A back pack is better. -You don’t need to bring makeup. Most of the girls on the trip won’t wear it. It will just sweat off. -Bring your own bug spray. -Bring or be prepared to pull out american dollars. You will need to pay for most excursions with USD. Also Cambodia widely prefers USD over Riel. -If you’re coming from the states you don’t need an adaptor. All outlets take the US plug! -Wifi is everywhere. Turn your phone on airplane mode and don’t bother getting a plan. Just Skype and iMessage people using wifi. -Pack your own portable charger! Up early in the morning to head by bus to Chiang Rai “the old city” Thailand. Accommodations: Very fancy hotel where I didn’t get much sleep because…well alcohol. Our tour made a surprise pit stop at the Wat Rong Khun (White Temple). This stunning and unique temple is made to represent ascending from hell to heaven. It is truly a spectacle. The architecture, details and figurines all make you feel like you’re in a cartoon or fairy tale. Truly a must see in Northern Thailand. 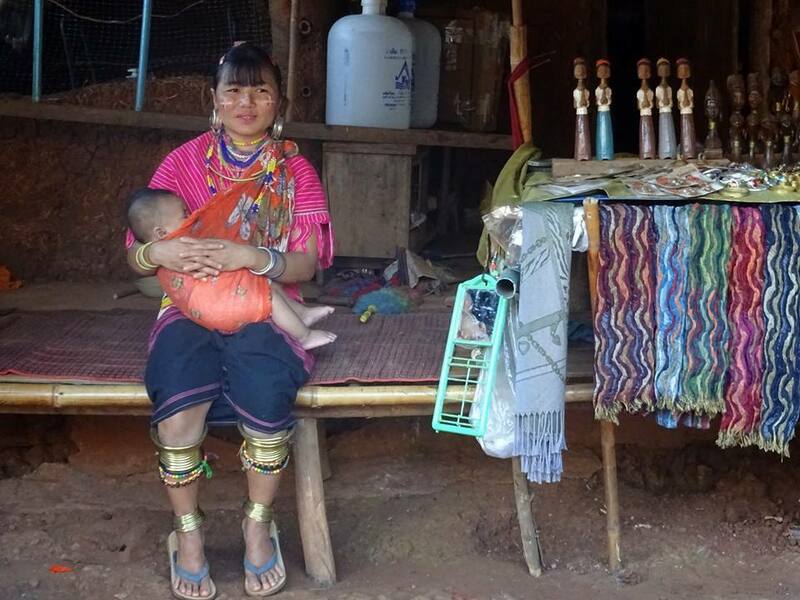 Once we reached Chiang Rai we headed further into the mountains to visit the Akah and Yao Hill Tribes of Northern Thailand. While the tour was very informative and interesting I did not enjoy being there. I felt like it was a zoo for humans. Everything seemed very staged and forced. I am glad the tribes can support themselves by selling and showing off to tourists but the dances and the souvenirs didn’t really seem authentic to me. I did however enjoy the hike through the jungle to get to the tribes. I loved seeing the countryside with all the water buffalo, chickens and fauna. After visiting the Hill Tribes we ventured into the night markets to sample local cuisine. I ordered a Hot Pot. Basically a create your own soup. They bring broth to your table in a clay pot with a heated stone underneath. You add what you want from a plate of selections and you have your own feast. It was very good and very hot! 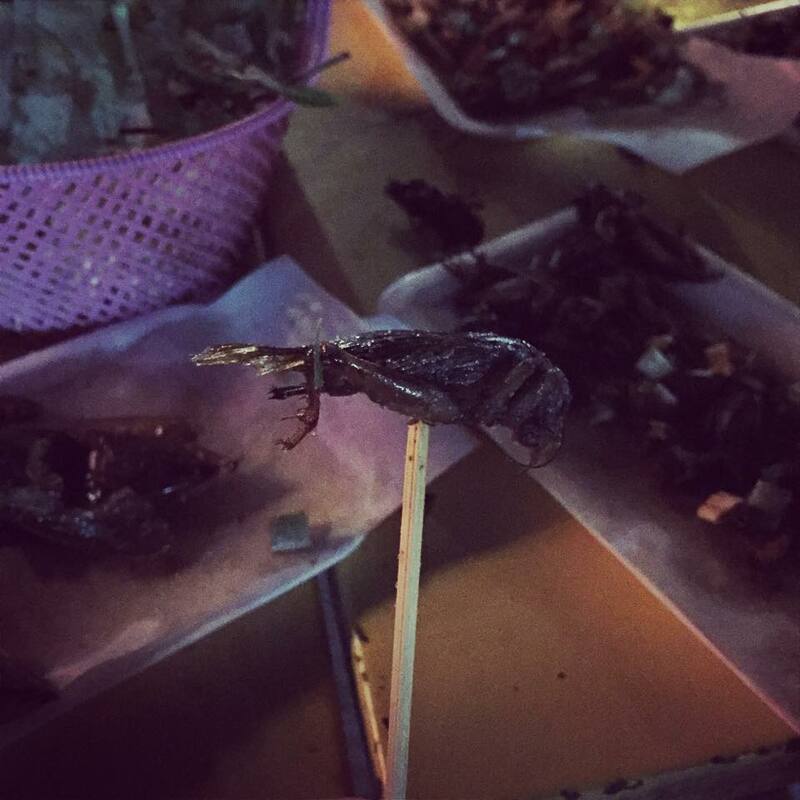 I also sampled some other local delicacies like crickets and worms! Accommodations: 5 star luxury hotel with amazing pool and free sauna. The free breakfast here was to die for. We took a bus ride up a windy mountain road to the stunning temple WatPhra. We traversed hundreds of steps to get to the breath-taking mountain temple which overlooked the city of Chiang Mai. The temple is filled with hundreds of chiming bells, lotus flowers, buddhas and shrines. We received a blessing from a Buddhist Monk, had our fortunes told and learned which Buddha, animal and color was ours. I am a purple snake and have a protector Buddha. I thought a lot about the passing of my mother at the temple. I bought her a bell, Lotus flower and candle. Then as the monks instructed I walked three times around the temple. I made a wish and prayed for her spirit. Then offered my Lotus flower and bell with her name written on it and lite my candle. It was very emotional and I cried. I don’t think anyone knew because I was wearing sunglasses. For me it was a very spiritual and impressive place. My mother had always loved Learning about and experiencing other cultures and religions. At that temple I could feel her there with me. Her bell hangs in the temple in Thailand now and whenever a passerby rings it they will send love her way. Afterwards we had free time before meeting up again at night. So some of the girls and I decided to get Thai massages. We dressed in cotton outfits and laid down for a seriously painful group massages. At one point when my masseuse had my legs pulled behind my head my pants ripped. All of the masseuses busted out in laughter. It was pretty embarrassing but also hilarious so I don’t blame them for laughing. Later I opted to take part in a traditional Thai cooking class. We learned about Thai food and culture with a hilarious and informative local chef. Using his “same same but different” shopping method we learned how to buy key ingredients at Chiang Mai’s market. He taught us really simple cooking techniques and I actually learned a ton. All of the food we made was delicious and I can’t wait to try the recipes at home. Last night we headed from Bangkok to Chiang Mai via an overnight train. The ride was amazing. Contiki had a private car. The long journey gave us a chance to play some games and get to know each other more. At night our tables and chairs turned into the most comfortable beds! Laura and I played rock, paper, scissors and I won the bottom bunk with the window. I woke up before the sun and was able to see the sunrise over the beautiful Thai countryside. It was very euphoric as I listened to my ipod and watched the hills roll by. I wouldn’t trade that experience for anything in the world. 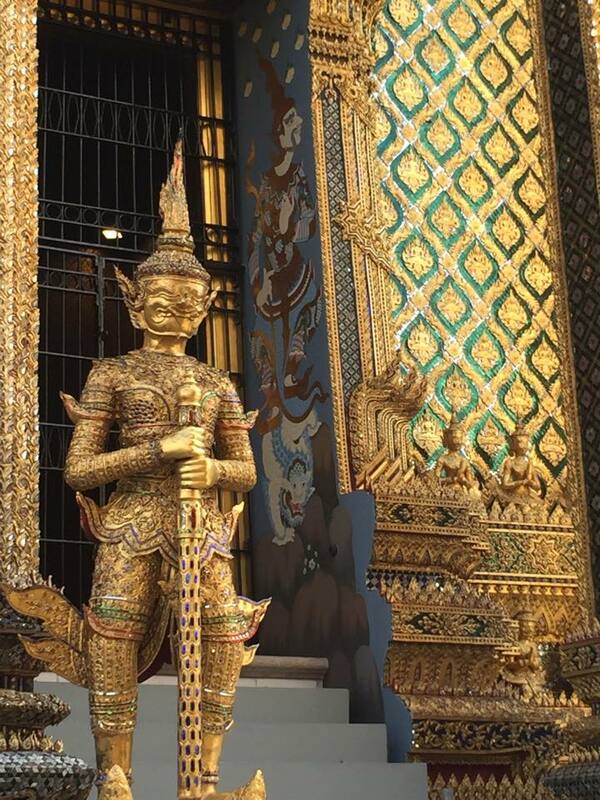 Woke up bright and early to beat the crowds at the Thai Grand Palace. 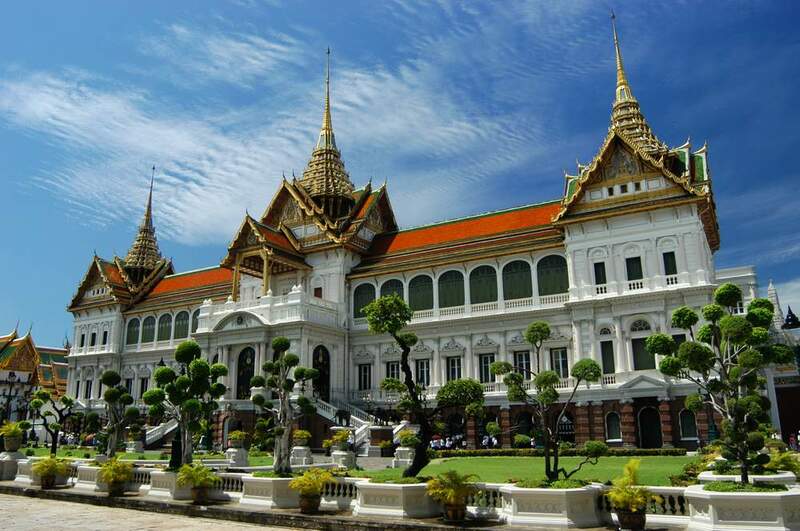 I didn’t take this photo…but this is the Grand Palace! The Palace is beautiful. So much gold, color and jewels everywhere. Simply breath-taking. Our local guide taught us about the history of the palace and temple. She was very informative and entertaining. She called our group “Sticky Rice”. Unfortunately for my it got really hot really fast. Our “Temple Wear” covered us head to toe and the heat was reflected by the gold and white buildings. So after about an hour of the tour people couldn’t stand and were pretty over the tour. I would’ve liked to have learned more, but it was unbearably hot. So we all voted to move onto another site. Our next stop was a river tour of the city. Bangkok is known as the Venice of Asia. It was neat seeing the city from the canals. It was also very cool being on the water. I got excited because we passed a temple and fed cat fish at a place that was on The Amazing Race! Afterwards we had some free time before we had to check out of our hot el and head to the train station. I decided to hit the pool up and cool off. I got the pool all to myself. The refreshing pool was exactly what I needed after our exhausting morning. I ordered some delisous food and fresh coconut water and read my kindle. Later people showed up to join me, but for a little bit it was nice to be alone. We met with our Tour Manager Lee at 4PM and headed to the train station for our over night train ride to Northern Thailand. Someday I want to come back to Thailand. There’s no way you can experience such a massive city in just two days.